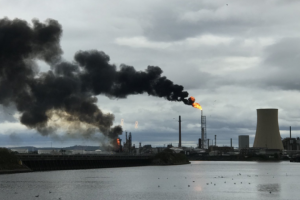 A fire at a refinery near Iran’s Gulf port of Bandar Abbas was quickly extinguished on Saturday, and there were no casualties, Iranian news agencies reported. “In less than 40 minutes, the fire was contained by firefighting teams. Fortunately, the incident did not cause any casualties,” Ali-Reza Safa Isini, head of the provincial crisis management body, was quoted as saying by the semi-official news agency ISNA.